Getting cartoons is so easy and simple. The interesting question though, is how do you prefer to get your cartoons if you are a magazine editor? Via an email submission? 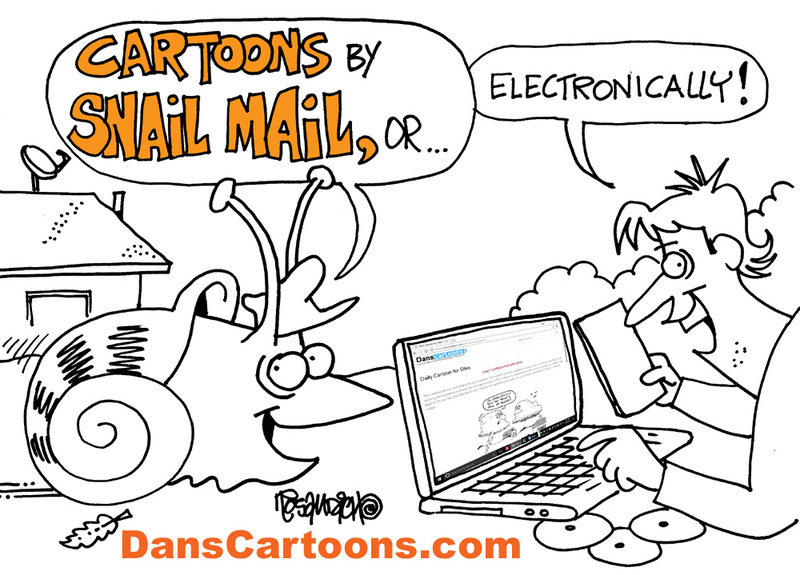 If so, do you prefer the cartoon submissions be in a PDF or do you want the cartoons sent to you as hard copy photocopies sent using first class mail? Are you a newspaper editor or publisher seeking a cartoon subscription? In my offering cartoons for newspaper publishers, I can supply cartoons ala carte. The editor can get a single cartoon or order an entire year’s worth of material that he or she can choose from any of my cartoon catalogs I make available to the newspaper market. Cartoons supplied to newspapers are usually sent in compressed folders I email as attachments to an email address that is provided to me by the editor. If you’re an editor who has a preference, tell me how you want to get the cartoons and that can be done. No problem, as I always emphasize that flexibility is key in working with you. In the old tried and true method of submitting cartoons back in the old days, I sent up to 15 separate single panel gag cartoons that were accompanied by a self addressed stamped envelope for the editor’s convenience. This guaranteed safe return of the cartoons so that I could show those same cartoon panels to other editors who might be interested in considering cartoons. No longer are getting cartoons sent by fax an up to date method. 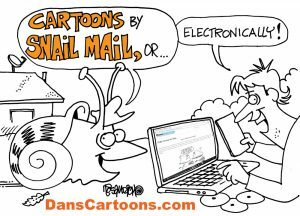 This is a somewhat antiquated method and since email is the predominant form of communication, any and all (or at least most) ways to deliver cartoon files electronically are preferred for expediency. 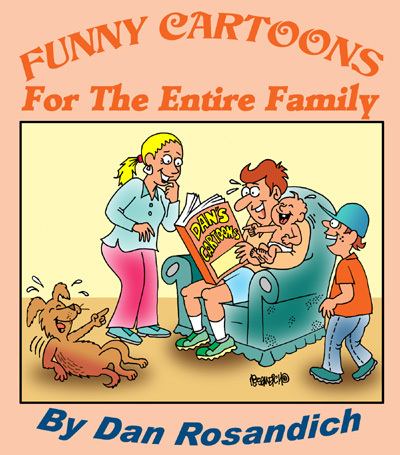 A book publisher wanting funny cartoons about life for instance, could get those image files in a compressed zip folder while on the other hand, a corporate newsletter seeking funny cartoons about work may just want samples mailed in by first class U.S. mail. There are different variables and these variables must be discussed or communicated in advance, between cartoonist / illustrator and client.